This is my favorite meal in the neighborhood. 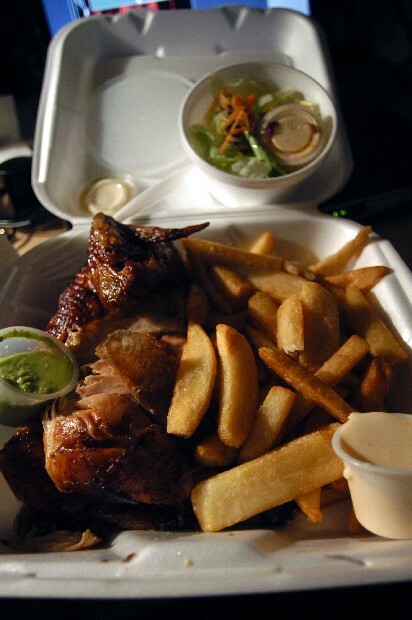 Half a chicken, rice or french fries, and a cup of lettuce and dressing for $7 even, at El Pollo Sabroso on Mt Pleasant St. The only bank close isn't mine, so I had to buy a 2 liter at 7-Eleven with my card and get $10 cash back. Now I have a full stomach and bus money.